After receiving semikha from YCT, Mike was a chaplain resident at New York Presbyterian – Weill Cornell in New York City. He and Rachael made aliyah to Karmiel, in the Galil, where they helped found Kehilat Ohel Avraham and where Mike served as the rabbi. At the same time, Mike began working as a milaveh ruchani (chaplain) at Rambam Hospital, in Haifa. Over the years, the spiritual care service has grown, and Mike was named director of the service, with a staff of 5 milavim ruchaniyim. 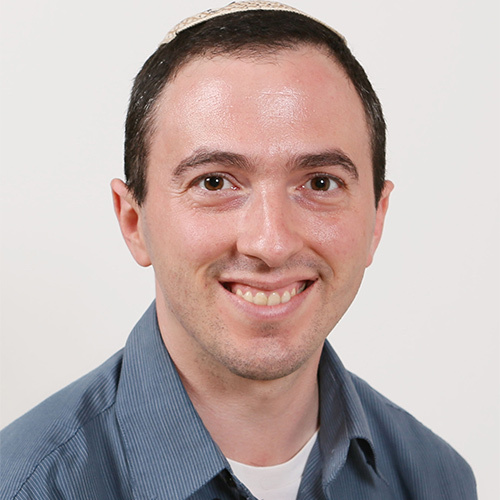 Mike is certified as a milaveh ruchani and as an educator, teaching a professional training course in the hospital’s academic arm, Rambam College. He is playing an active role in developing the field of chaplaincy in Israel, serving on the executive board of the Israel Spiritual Care Association (the professional association in Israel) and chairing its Professional Committee. Two years ago, the family moved from Karmiel to Moreshet, a religious yishuv also in the Galil.